#Guelph Transit Makes Tweaks to Select Routes! Check it Out! Guelph, Ont., December 7, 2017 – Guelph Transit is making minor adjustments to a few of its routes, starting January 7. 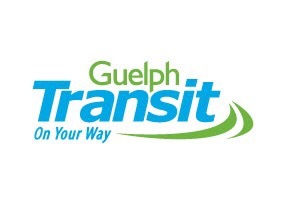 “The adjustments are part of our ongoing effort to improve the service for riders as we work toward building a more efficient and effective transit system for Guelph,” says Mike Spicer, general manager of Guelph Transit. Affected routes include: 3 Westmount, 41 Downtown-University Express, 11 Willow West/14 Grange, 16 Southgate, 40 Scottsdale Express, 51 U Janefield, 52 U Kortright, and 57 U Ironwood/58 U Edinburgh. On September 3, Guelph Transit realigned routes to increase the frequency of buses in areas where there was a greater demand for the service. Since then, Guelph Transit management has been analyzing data and reviewing feedback from the public and transit operators to help determine where system adjustments might be needed. “We heard loud and clear from our riders that Route 16 was not working and so we are pleased to extend the route to provide more service and get people to and from their destinations,” says Spicer. · Route 3 Westmount will operate Monday to Friday every 40 minutes. Based on low ridership numbers, the previous 20-minute service is not needed. · Route 41 Downtown-University Express will operate Monday to Friday every 10 minutes from 7:35 to 10:55 a.m. and every 20 minutes from 2:15 to 4:55 p.m.
· Route 11 Willow West/14 Grange will operate Monday to Friday every 30 minutes until the 8:15 p.m. departure. Beginning at 8:50 p.m. service will be every 40 minutes until end of day. · Route 16 Southgate will operate Monday to Friday every 30 minutes; providing service to Clair Road East, Hawkins Drive, Poppy Drive East, and Gordon Street. Two new stops, including an accessible stop, will be introduced. Another change will see no more layover on Clair Road. Riders who would like to limit their layover time are encouraged to get off at 1750 Gordon Street and transfer to the 99 Mainline Northbound. · Route 40 Scottsdale Express will operate Monday to Friday between 2:30 and 5:30 p.m. The 6 p.m. departure will no longer be offered. · Route 51 U Janefield will no longer stop at Stone Road Mall, but will provide more coverage along Wilsonview Avenue (routes 50 U Stone and 51 U Janefield). The 6:50 a.m. and 7:20 a.m. departures will no longer be offered. · The 6:50 a.m. departure on Route 52 U will no longer be offered Monday to Friday. · A new morning departure at 7:20 a.m. from the University Centre will be offered on routes 57 U Ironwood/58 U Edinburgh. The 10:30 p.m. departure will no longer be offered Monday to Friday. Riders will also notice changes to the information provided at bus stops. Information posts will now display the stop name, stop identification number and a phone number to call for real time bus arrival information. Route schedules and trip planning can be found online at guelphtransit.ca. Beginning December 22, printed route schedules and maps will be available at City Hall, Guelph Civic Museum, Evergreen Seniors Community Centre, West End Community Centre and the Victoria Road Recreation Centre. 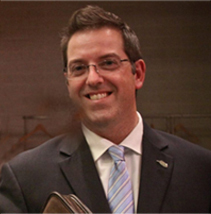 ← The Report is Out Regarding #Guelph Hydro! All 231 Pages of it.